Jahorina is a mountain in Bosnia and Herzegovina, part of the Dinaric Alps. The highest peak is Ogorjelica, 1,916 m above sea level. In summer, Jahorina puts in dense grass carpet and with its climate attracts picnickers, hikers, athletes and all those who seek refuge from the summer heat. Various sports facilities are often the reason why sports teams come to prepare for the coming sports season or for a meaningful competition. Jogging, walking or picking wild fruits and herbs will certainly be motivation enough for true nature lovers, who would enjoy the fact that they are being surrounded by beautiful green forest and fields and fresh air. While in winter, the snow can get up to 3 m high. Extraordinary configuration, good quality snow, favourable climate, 20 miles of trails for alpine skiing and gentle slopes (Paradise Valley), put this mountain among the finest and most famous ski centers. 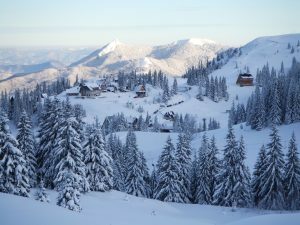 The average number of days with snow on Jahorina is 175 (from October to the end of May). To explore and use these natural winter treasures, a ski resort was established, that is located within the mountain range. 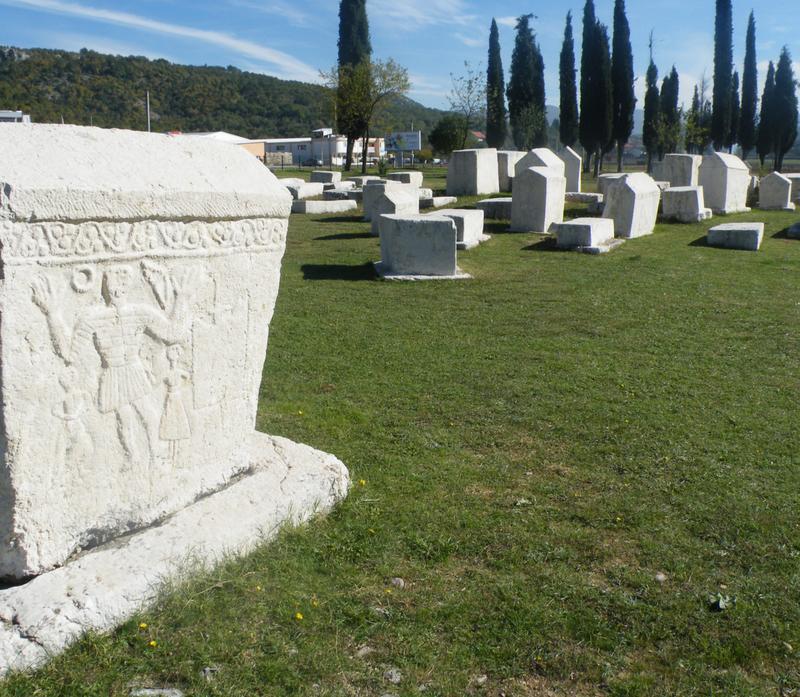 The winter sports resort was the site of the Women’s Alpine competitions for the 1984 Winter Olympic Games of Sarajevo. Additional options like cross-country trails and other sport facilities are also available at the resort. 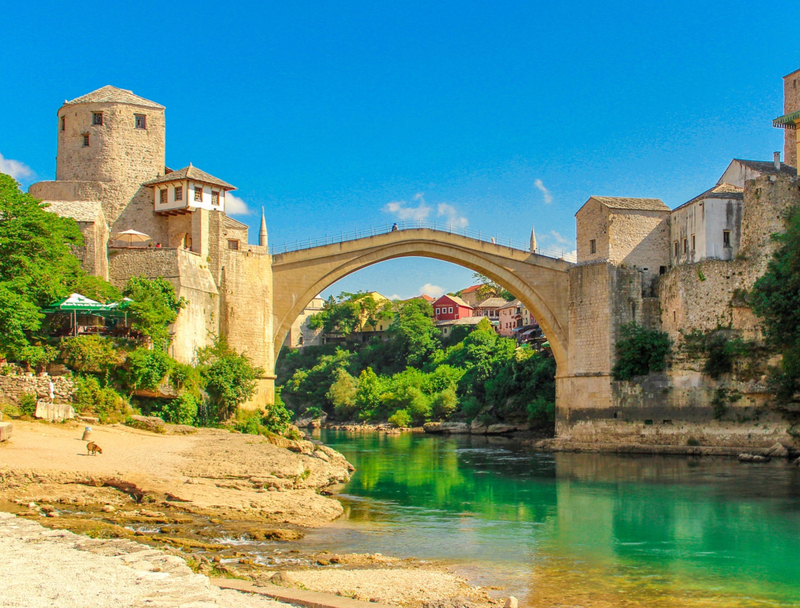 Bosnia and Herzegovina is a country of mountains and water. 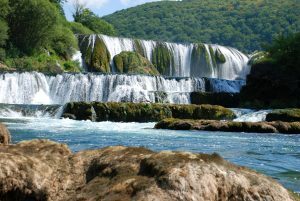 One of the watery treasures is Kravica waterfall, located on the Trebižat River. 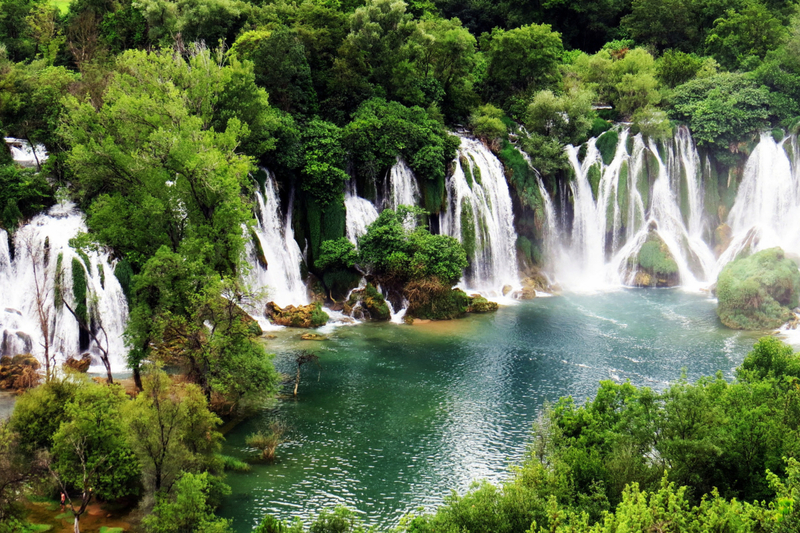 Kravica is one of the largest waterfalls in Herzegovina, and certainly the most impressive one. The waterfalls have a natural pool dug out at the base of the falls by the constant rush of water. It is a favourite local swimming spot with picnic area, restaurants, cafes and even a place to pitch a tent. If that’s not enough, you can go on a canoe safari on the Trebižat just a few kilometers away. The best time of the year for visiting is springtime, when the waterfall is at its fullest and the arid landscape turns a bright green. Sutjeska national park is one of Bosnia and Herzegovina's oldest parks. 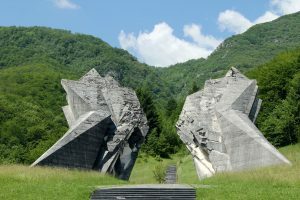 It is famous for the Partisan victory over the Germans in WWII and there are large stone monuments commemorating the event. 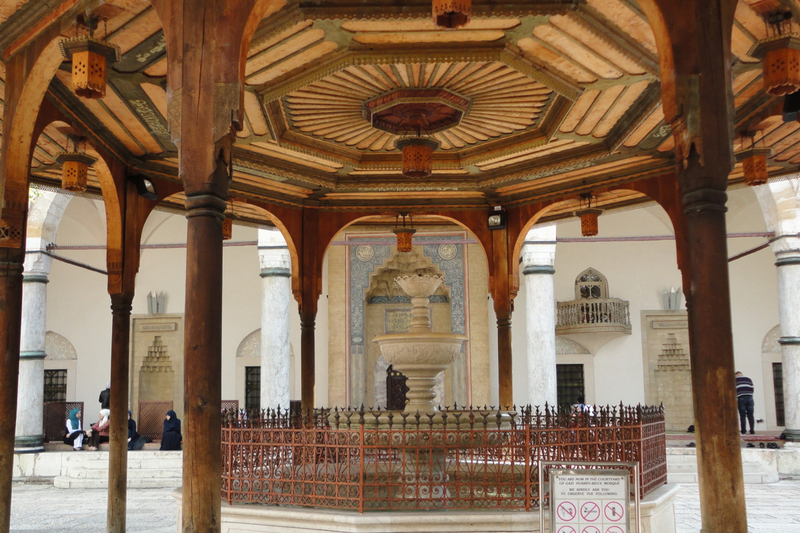 The park itself is 17,500 hectares of magnificent and untouched wilderness. It hosts one of the last two remaining primeval forests in Europe, called Perucica. Beech trees tower over 60 metres high and endemic black pines stem from the rocky faces,which protect the ancient forest. Skakavac waterfall can be seen from the look-out point – this seventy-five meter waterfall is dwarfed by the massive blanket of green trees that cover the valley. The Sutjeska River has carved a stunning valley through the middle of the park and divides Zelengora Mountain (Green Peaks) from Maglic and Volujak Mountains. Bosnia and Herzegovina's highest peak – Maglic, is over 2,386m and is located in the park, directly on the border with Montenegro. It presents a challenging climb for even experienced hikers. Zelengora Mountain is great for hiking and walking and there are several newly renovated mountain huts on the mountain. Bear and wolf sightings are common. On Zelengora there are eight glacial lakes, and what also characterizes this area are deep canyons of Sutjeska, Hrčavka and Jabučnica; as well as clear mountain streams rich with brown trout. It has a very precious and rich stock of wildlife and rare plant species, many of which are endemic. As rarely anywhere else, here you can see and feel with all of your senses the beauty of nature; the roar and the mystical silence of the forests, the babble of crystal clear rivers and streams, the call of the wild and the call of the eagle, a marvellous game of shadows over the lakes of Zelengora, the rippling of mountain pastures. Nature is indeed richly endowed this unique corner of the Balkans. 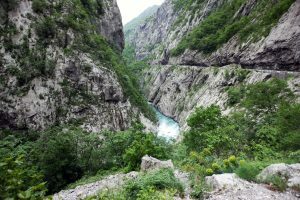 The Tara River Canyon, also known as the Tara River Gorge, is 82 kilometers long and its last 36 kilometers constitute the border between Bosnia and Herzegovina and Montenegro. The canyon, at its deepest, is around 1,300 meters. These parameters make the Tara River Canyon among deepest river canyons in Europe and indeed the world. The canyon stretch within Montenegro, is protected as a part of Durmitor National Park and is a UNESCO World Heritage Site. Durmitor National Park, in northern Montenegro, is an awe-inspiring, undiscovered expanse of glacial lakes, craggy mountains and incredible scenery. Durmitor National Park is the perfect place to take up a huge variety of outdoor pursuits, from white-water rafting along the Tara River Canyon, to zip lining, climbing and mountain biking. For the slightly more reserved adventurer, there are plenty of hiking trails and glacial lakes to explore. 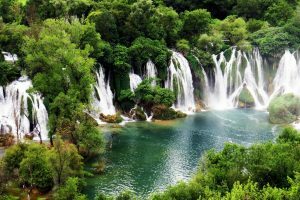 National Park "Una" is spread through the valley of the upper stream of the river Una, as well as through the valley of the river Unac, right tributary of Una, all the way to the river Krka in the west. This area represents a unique natural complex in this part of the country, so a national park was established here, in 2008. 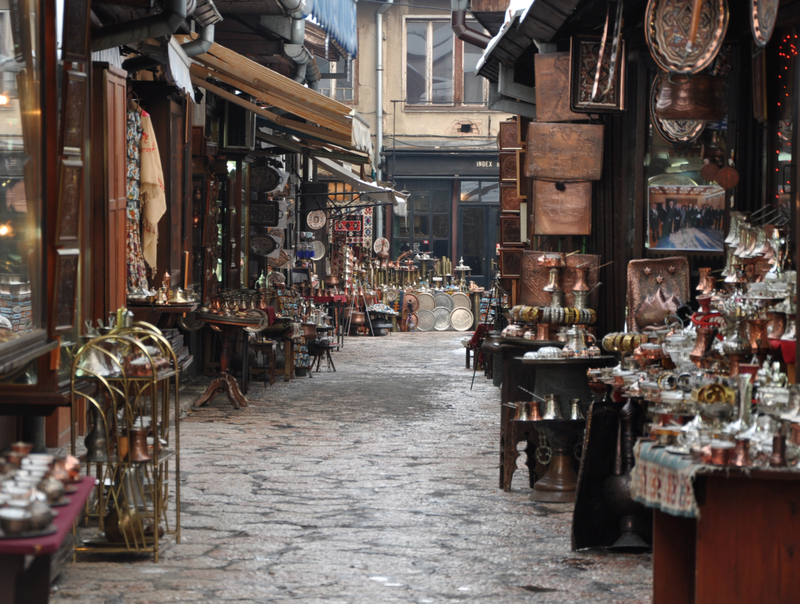 In terms of cultural and historical use, this area abounds with a rich heritage of archaeological sites and historical monuments, and the special position of the area on the transit line to the sea, led it under the influences of many cultures in the past, from where the rich archaeological sites, date remains of medieval fortresses and religious buildings of different faiths and cultures.